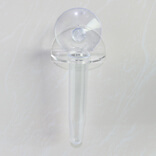 Suction cup with Acrylic Flower Vase. 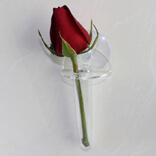 Suction cup with Acrylic Flower Vase can be used in any different situation with ease. The product has the capacity to be used to hold the load for long periods of time. 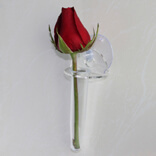 One of the most innovative uses of this product range is the creation of unique holders like flower vases , display stands for refreshments , holders for the acrylic displays etc. The versatility of the product means that it can be seen in different environments across the variety of spaces in both residential and commercial areas. KingFar – The Company that is changing the rules. KingFar has started changing the rules with regards to what are the functionalities of the product. The company has started devising new product ranges to cater to newer audiences across the globe. Ubiquitous product ranges like large suction hooks are being combined to create uses never thought before in the industry. The company has designed products like the Suction Cup Vase and Window vases to replace the need to create space to hold the permanent vases. The company ensures that the product performs as a perfect replacement at all times. The end user will never have to worry about the vase falling down on the floor at the wrong time. The company ensures that its products work in all temperatures and on every smooth surface. Yes, the product can be used on refrigerators, painted surfaces and any smooth surface with relevant ease. Suction Cup KF-VS01 as a product is unique and the first of its kind. It can hold multiple flowers easily. It can be easily attached to any surface including mirrors. It can be transported from home to office with ease and can be attached and detached with ease.